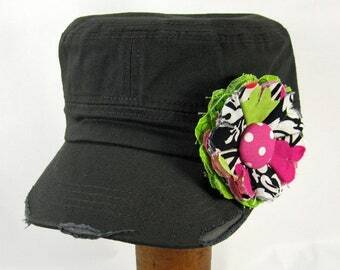 Need that something extra to accessorize your day? 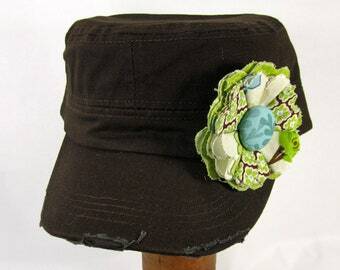 These cadet caps are the answer. 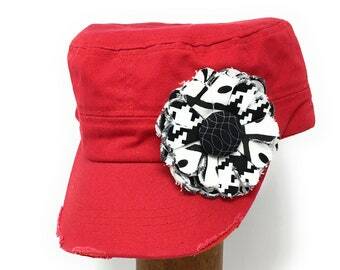 With an adjustable back, these caps fit most women and even some young girls. 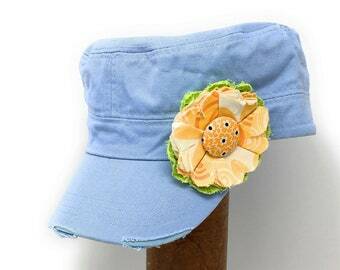 Great for a bad hair day, post- workout, vacation or just for something cute, these hats are adorned with a removable fabric flower pin. 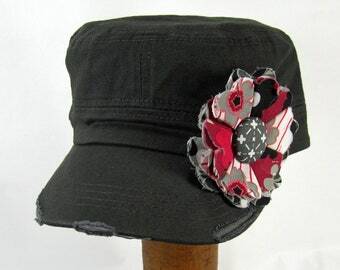 Why a pin? 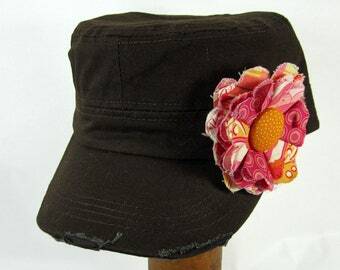 Well maybe you just want a plain hat - or maybe to change the pin (see our shop for more flower pins available). 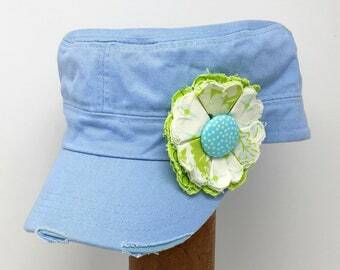 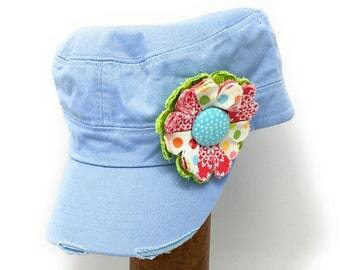 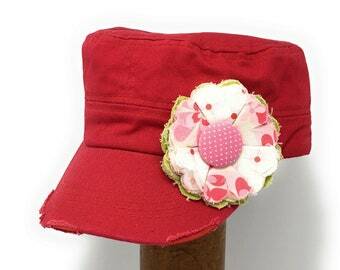 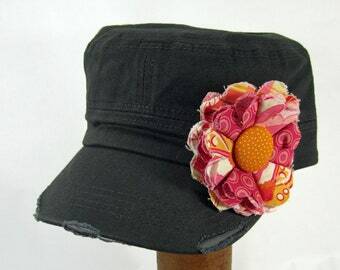 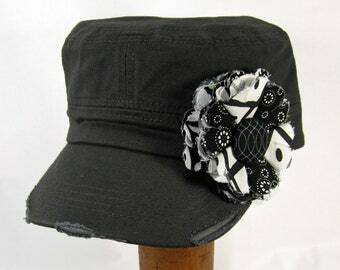 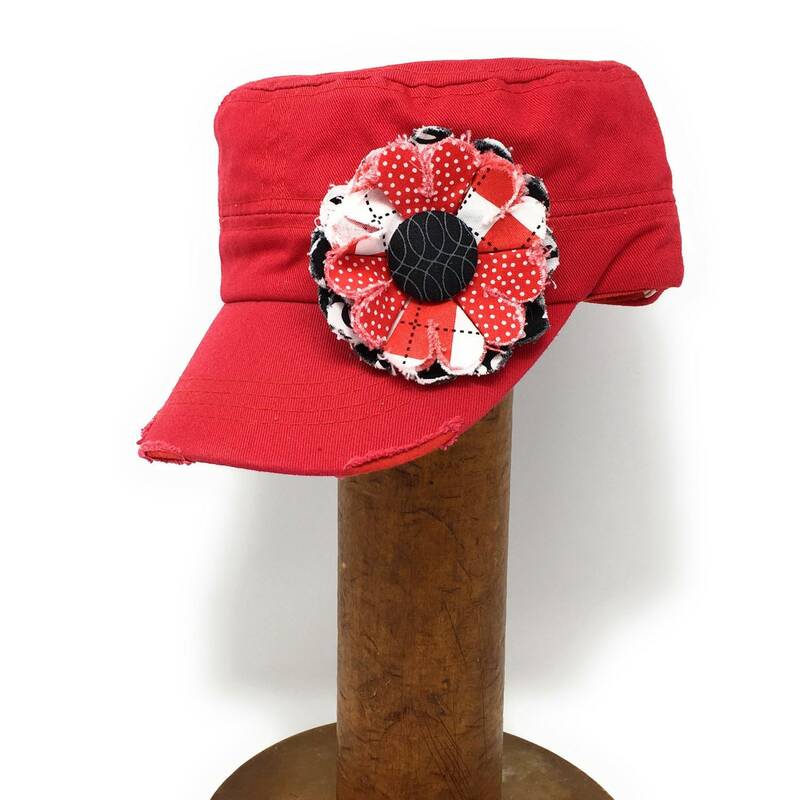 Maybe you don't want to wear the cap but want to use the flower to accessorize a scarf, jacket, purse, headband. 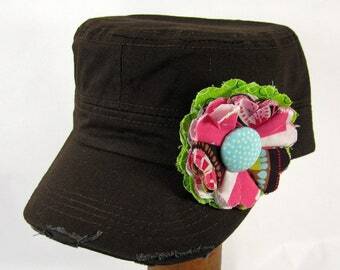 This way you have lots of options. 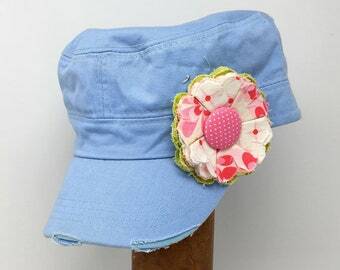 That's what we like. 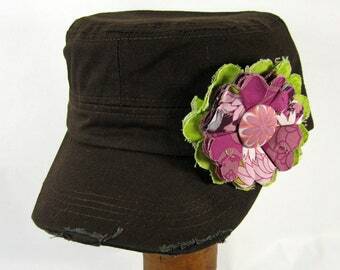 We also have additional pins available to change up your look. 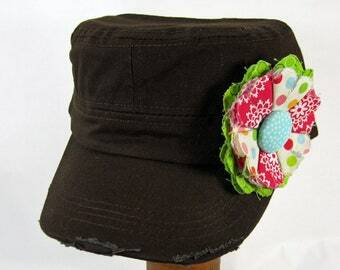 This flower contains 9 layers of fabric flowers and a fabric covered button and is approximately 3.25" in diameter.